For more than fifty years Ingo Maurer has been the shining figure in luminaire design. 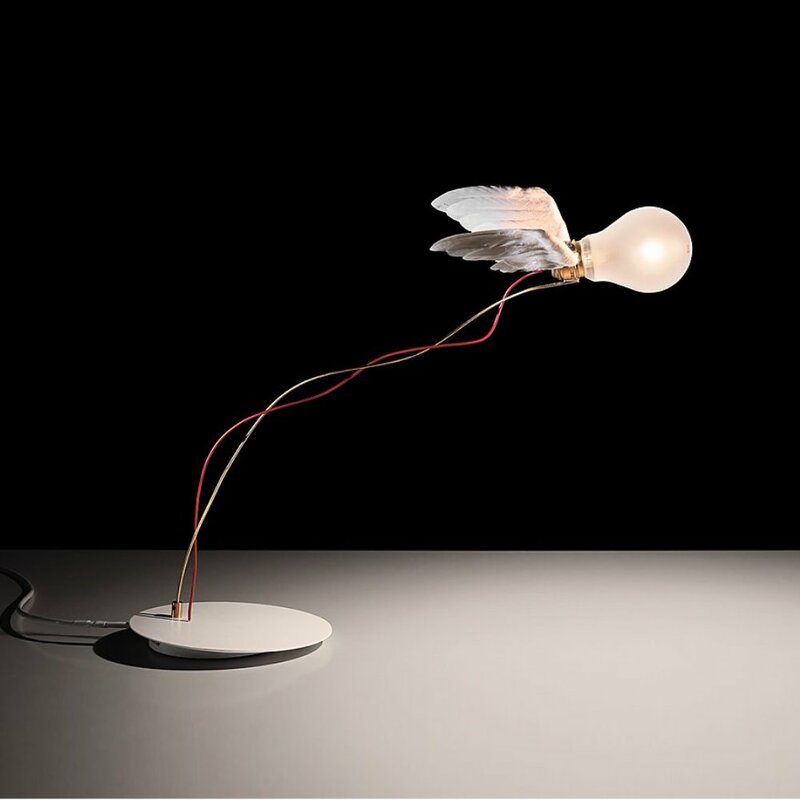 Famous for his sophisticated designs and innovative ideas Ingo Maurer has invented dozens of one-of-a-kind lamps. An example for an unmatched design is the Lucellino table lamp. The illuminant is decorated with goose feathers, creating an image of an angel starting his flight to heaven. The Lucellino table lamp is dimmable via slider on its power cord.